I read this article and found it very interesting, thought it might be something for you. 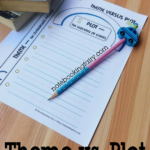 The article is called Theme Versus Plot Notebooking Pages and is located at https://notebookingfairy.com/theme-versus-plot-notebooking-pages/. 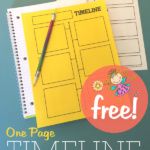 These elements of fiction notebooking pages can be used with the picture book Ish or with any picture book, novel, or short story because every work of fiction has a plot and a theme. 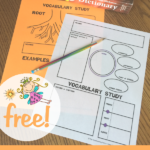 Identifying the theme of a work of literature can be a difficult task for children. 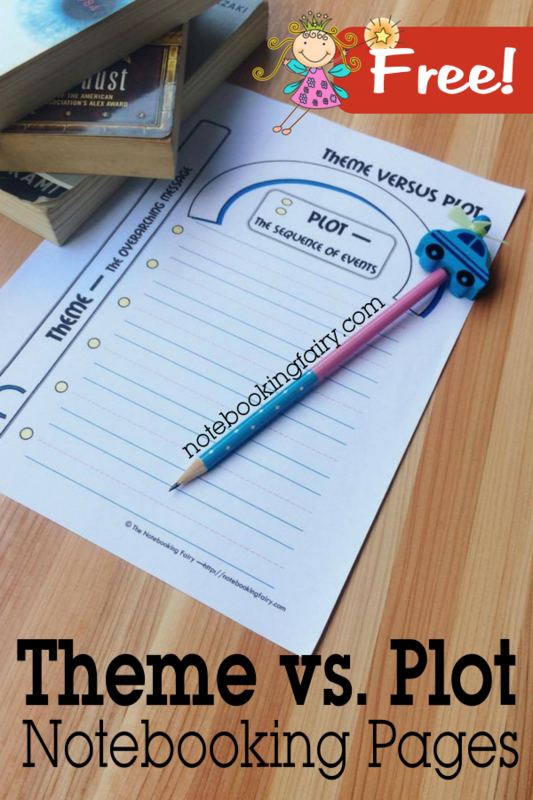 This notebooking page is designed to help them visualize the difference between the plot and the theme. 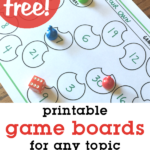 Since the theme is general or universal, it can apply to people in any time of history or in any culture. It transcends the plot. The plot is the sequence of events, so each layout includes a column of lines for listing those actions. The theme, in contrast, is the overarching (or underlying) message which the story points to. 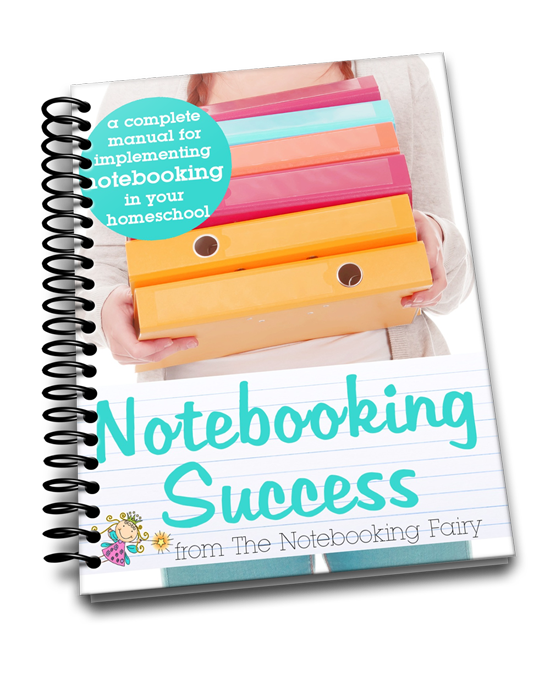 As you can see, these notebooking pages have room for you to write the theme onto an arch which umbrellas over the plot or onto a base that lies beneath the plot. 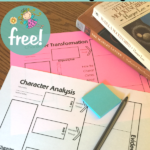 Choose the layout that will explain plot versus theme best to your children — underlying or overarching. 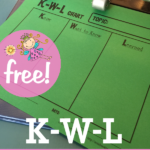 Like all of the free printable notebooking pages at The Notebooking Fairy, this free PDF includes pages in three different line styles for the youngest to oldest writers.